July 10, 1962. Launch of Telstar 1, world's first active communications satellite, on a Thor/Delta rocket from Cape Canaveral, Florida. Telstar 1 was the world's first active communications satellite. Backup spacecraft for Telstar, the world's first active communications satellite. Telstar 1 began an era of live international television. After its launch on July 10, 1962, it relayed television images between the United States and France and England. 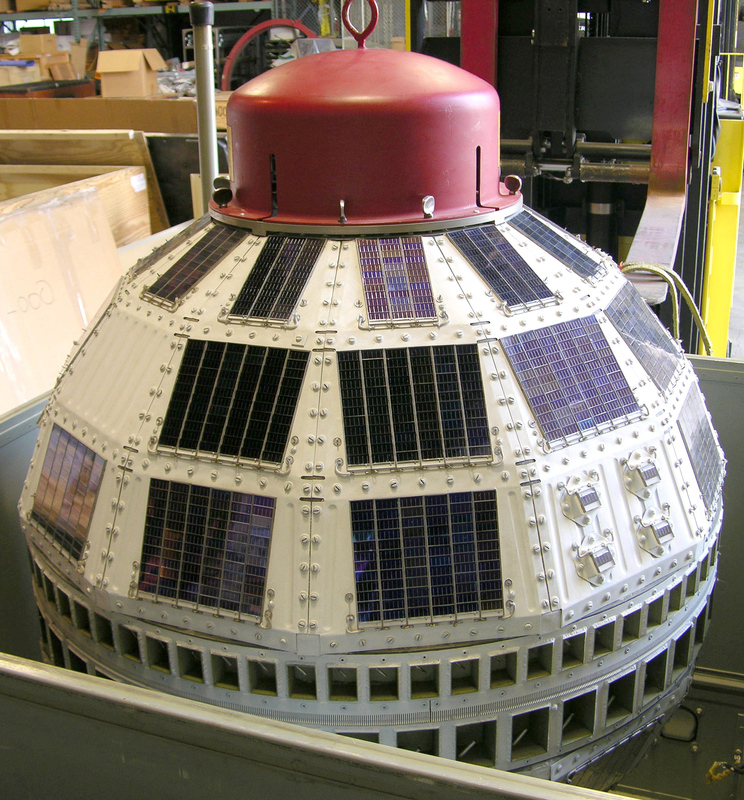 An engineering back-up of the Telstar satellite, in the collections of the National Air and Space Museum. Telstar inaugurated an age of instant worldwide communications via satellite. Launched on July 10, 1962, Telstar 1, developed by the American Telephone and Telegraph Company (AT&T), was the world's first active communications satellite. AT&T used the satellite to test basic features of communications via space. Soon after launch, Telstar enabled the first transatlantic television transmission, linking the United States and France. In November 1962, Telstar's electronics became compromised through exposure to Van Allen Belt radiation, resulting in the satellite's deactivation in February 1963. Telstar was one of the most significant communications satellites of the early space age. It raised an important policy question: Should communications satellites be operated and controlled by private corporations or under government auspices? The United States chose government direction and created two new institutions, COMSAT and INTELSAT, to develop satellite communcations, an arrangement that lasted for more than two decades. 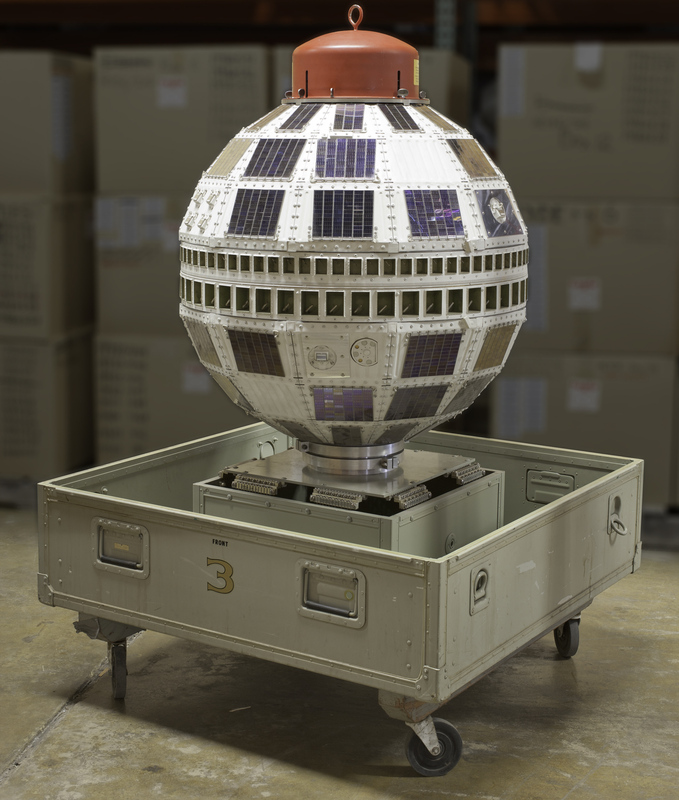 This Telstar is a backup spacecraft to Telstar 1 and 2 (launched respectively in 1962 and 1963), transferred from the National Museum of American History to the Museum in 2006. This illustration from 1962 shows the major components of Bell Systems’ experimental communications satellite. As the first active communications satellite, Telstar 1 began an era of live international television. It relayed television images among the United States, France and England.